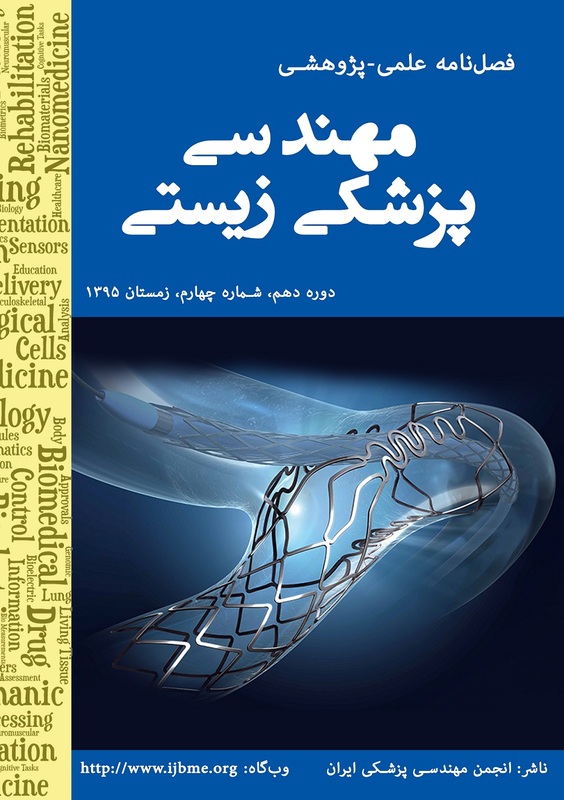 در مکان‌یابی فعالیت مغز از روی سیگنال EEG یا MEG، روش­های مبتنی بر شکل­دهندة پرتوی وفقی کمینه واریانس، به‌دلیل رزولوشن بالا، کاربرد گسترده­ای دارند. متأسفانه، این روش­ها به‌دلیل استفاده از وارون ماتریس کوواریانس داده، اغلب زمانی که تعداد لحظات نمونه­برداری در مقایسه با تعداد گیرنده­ها کم است، با شکست مواجه می­شوند. این اتفاق، به‌خصوص برای داده­های حاصل از پتانسیل­های برانگیخته رخ می‌دهد. برای حل مشکل، روشی به نام تمام‌وفقی سریع (FFA) پیشنهاد شد، که یک روش چند‌مرحله­ای وفقی با الهام از ساختار پروانه­ای تبدیل فوریه (FFT) بوده و تعداد نمونه­های لازم برای مکان­یابی را به مقدار قابل‌توجهی کاهش می­دهد. از سوی دیگر، حساسیت زیاد این روش به توالی تقسیم داده و عملکرد ضعیف آن در SNRهای پایین، استفاده از آن را برای مکان­یابی فعالیت­های کوتاه­مدت مغزی با تردید همراه کرده است. در این مقاله، یک مرحلة پیش­پردازشی برای بهبود عملکرد FFA ارائه می­شود که در آن، مغز به نواحی مجزا تقسیم و پایه­های هر ناحیه تعیین شده و با استفاده از این پایه‌ها، دادة هر ناحیه به‌دست می­آید. در ادامه، الگوریتم FFA روی دادة به‌دست آمده، اعمال می­شود. برای اثبات عملکرد روش ارائه‌شده، از داده­های شبیه­سازی ERP و دادة واقعی ERF استفاده شد. در تمام شبیه­سازی‌ها، FFA بهبود‌یافته، عملکرد بهتری از لحاظ شعاع پراکندگی (بهبود در حدود 4-9 میلی‌متر) و خطای مکان­یابی (بهبود در حدود 2-10 میلی‌متر) در مقایسه با روش FFA از خود نشان داد. همچنین روش پیشنهادی، رزولوشن بهتری در مکان­یابی داده واقعی ERF نشان داد. این نکته نیز مهم است که روش پیشنهادی، حساسیت کمتری نسبت به توالی تقسیم داده دارد. نتایج هر دو دادة شبیه­سازی و واقعی نشان می­دهد، که می­توان از FFA بهبود‌یافته به‌عنوان روشی مطمئن برای مکان­یابی فعالیت­های کوتاه‌مدت مغزی استفاده کرد. Minimum variance beamformer (MVB) and its extensions are most widely used techniques in brain source localization due to their high spatial resolution. Unfortunately, beacause of using data covariance matrix, these methods often fail when the number of samples of the recorded data sequences is small in comparison to the number of electrodes. This condition is particularly relevant when measuring evoked potentials. For solving this problem, Fast Fully Adaptive (FFA) algorithm was developed a few years ago. This method is a multistage adaptive processing technique drawing its inspiration from the butterfly structure of the Fast Fourier Transform (FFT) and decreasing the data requirement significantly. Unfortunately, the high sensitivity of FFA to data partitioning sequences and also its low performance in low SNRs pose a doubt on using it as a reliable localizer for short time brain activities. In this paper, a preprocessing step is proposed to enhance the FFA method. In this step, the brain is divided into separate areas, the components of each area are determined, the data is projected to each area using components of that area. After that, FFA is applied to the projected data. The performance of the enhanced FFA is compared with FFA method by using simulated ERP and real ERF data. In all simulations, enhanced FFA shows the better performance in terms of localization error (enhancement about 2-10 mm) and spread radius (enhancement about 4-9 mm). In addition, the proposed method for real ERF data shows accurate localization result with the most concentrated power spectrum, compared to FFA approach. It is noteworthy that enhanced FFA offers less sensitivity to data partitioning sequences. Emprical results illustrate that enhanced FFA can be implemented as a reliable method for localizing brain short time activities. J. C. Mosher, P. S. Lewis, and R. M. Leahy, “Multiple dipole modeling and localization of spatio-temporal MEG data,”IEEE Trans. Biomed. Eng., vol. 39, no. 6, pp. 541–557, Jun. 1992. H. Liu and P. H. Schimpf, “Efficient localization of synchronous EEG source activities using a modified RAP-MUSIC algorithm,” IEEE Trans. Biomed. Eng., vol. 53, no. 4, pp. 652–661, Apr. 2006. X. L. Xu, B. Xu, and B. He, “An alternative subspace approach to EEG dipole source localization,”Phys. Med. Biol., vol. 49, pp. 327–343, Jan.2004. L. Ding, G. A. Worrell, T. D. Lagerlund, and B. He, “Ictal source analysis: Localization and imaging of causal interactions in humans,”Neuroimage, vol. 34, no. 2, pp. 575–586, Jan. 2007. B. D. Van Veen, W. van Drongelen, M. Yuchtman, and A. Suzuki, “Localization of brain electrical activity via linearly constrained minimum variance spatial filtering,”IEEE Trans. Biomed. Eng., vol. 44, no. 9, pp. 867–880, Sep. 1997. R. D. Pascual-Marqui, “Standardized low resolution brain electromagnetic tomography (sLORETA): Technical details,” Meth. Findings Exp. Clin. Pharmacol, vol. 24, pp. 5–12, 2002. C. Cao and S. Slobounov, “Alteration of cortical functional connectivity as a result of traumatic brain injury revealed by graph theory, ICA and sLORETA analyses of EEG signals,”IEEE Trans. Neural Syst. Rehabil. Eng., vol. 18, no. 1, pp. 11–19, Feb. 2010. Moiseev, A., Gaspar, J. M., Schneider, J. A., Herdman, A. T., 2011. Application of multi-source minimum variance beamformers for reconstruction of correlated neural activity. NeuroImage. vol. 58 no. 2, pp. 481-496. Oswal, A., Litvak, V., Brown, P., Woolrich, M. and Barnes, G., Optimising beamformer regions of interest analysis. Neuroimage, vol. 102, pp. 945-954, 2014. Diwakar, M., Huang, M.-X., Srinivasan, R., Harrington, D.L., Robb, A., Angeles, A., Muzzatti, L., Pakdaman, R., Song, T., Theilmann, R.J., Lee, R.R., Dual-Core Beamformer for obtaining highly correlated neuronal networks in MEG. NeuroImage, vol. 54, pp. 253–263, 2011. Reed, S., Mallett, J., Brennan, L., 1974. Rapid convergence rate in adaptive arrays. IEEE Trans. Aerosp. Electron. Syst., vol. AES-10, no. 6, pp. 853–863. Van Veen, B. D., van Drongelen, W., Yuchtman, M., Suzuki, A., Localization of brain electrical activity via linearly constrained minimum variance spatial filtering. IEEE Trans. Biomed. Eng. vol. 44, no. 9, pp. 867–880, 1997. Cox, H., Zeskind, R.M., Owen, M.M., Robust adaptive beamforming. IEEE Trans. Acoust. Speech Signal Process. ASSP-vol. 35 (Suppl. 1), pp. 1365–1376, 1987. A. Rodr´ıguez-Rivera, B. V. Baryshnikov, B. D. Van Veen, and R. T. Wakai, “MEG and EEG source localization in beamspace,”IEEE Trans. Biomed. Eng., vol. 53, no. 3, pp. 430–441, Mar. 2006. Ravan, M., Reilly, J. P., Hasey, G., Minimum Variance Brain Source Localization for Short Data Sequences. IEEE Trans. Biomed. Eng., vol. 61, no. 2, pp. 535-546, 2014. O. Saleh, R. S. Adve, and R. J. Riddolls, “Fast fully adaptive processing: A multistage STAP approach,” in Proc. IEEE Radar Conf., May 2009, pp. 1–6. BrainStorm, Matlab Toolbox. (2013). [Online]. Available: http://neuroimage.usc.edu/brainstorm. David P. Wipf, Julia P. Owen, Hagai T. Attia, Kensuke Sekihara, Srikantan S. Nagarajan., Robust Bayesian estimation of the location, orientation, and time course of multiple correlated neural sources using MEG, vol. 49, no. 1, pp. 641-655, 2010.